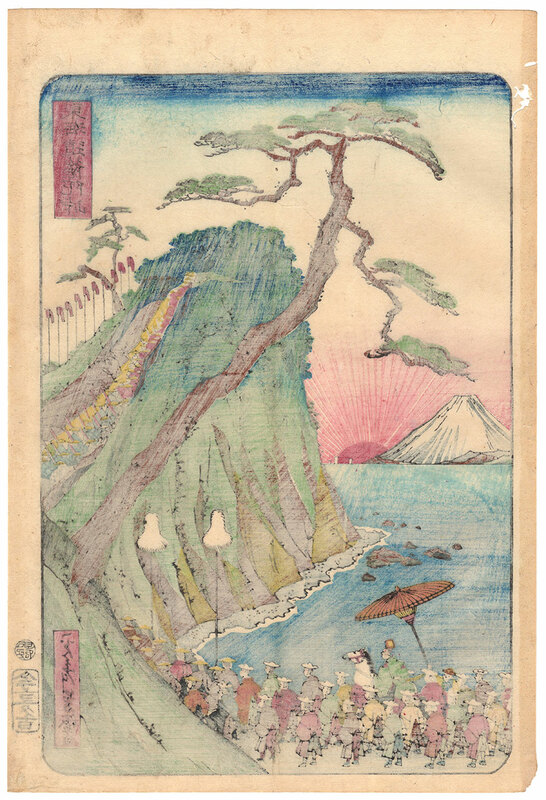 Important polychrome large vertical format woodblock print taken from the "Scenes of Famous Places along the Tokaido Road" (東海道名所絵), the famous series of prints, also known as "The Processional Tokaido" (御上洛東海道), which was made with a exceptional collaboration of different artists and publishers to commemorate the historic journey from Edo (江戸) to Kyoto (京都) of the procession of the shogun Tokugawa Iemochi (徳川家茂) who in 1863, when the Tokugawa shogunate was in a state of final weakness and dissolution, went to pay his respect to the emperor. 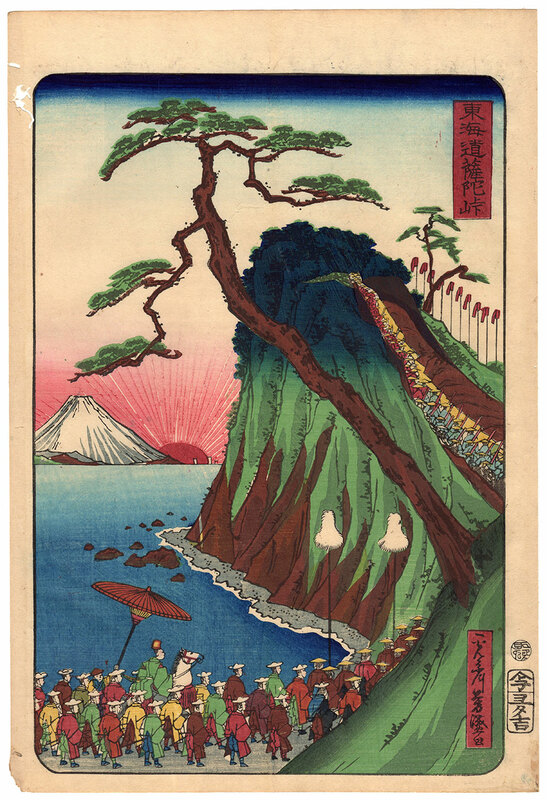 The work, printed by the publisher Otaya Takichi (太田屋多吉), is signed by Ikkosai Yoshimori (一光斎芳盛), pseudonym of the artist Utagawa Yoshimori (歌川芳盛), and depicts the procession in the Satta Toge pass (薩陀峠), in today's Shizuoka Prefecture (静岡県), while proceeding in a wonderful natural setting embellished, in the background, by Mount Fuji (富士山). 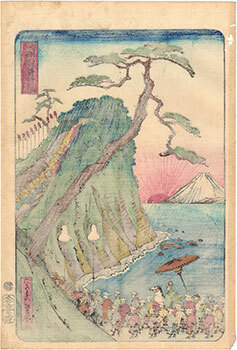 The precious woodblock print on Japanese washi paper (和紙) is in good general condition, although on the left margin there is a sign of worming at the top and a small tear in the lower corner.